Landezine met with Taktyk just after the 9th International Biennial of Landscape Architecture in Barcelona on October 1st 2016. 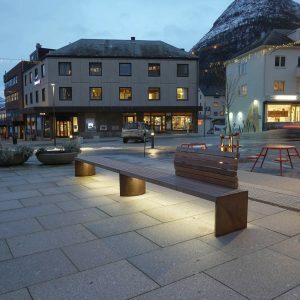 Taktyk is a practice of investigation that is being run by architect and urbanist Sebastien Penfornis and Thierry Kandjee, landscape architect and urbanist. Landezine: What is Taktyk’s main focus, how do you approach projects? Kandjee: Our work can be best summarised through the notion of “traject-stories”. There is one project called Shores linked to the birth of Taktyk. 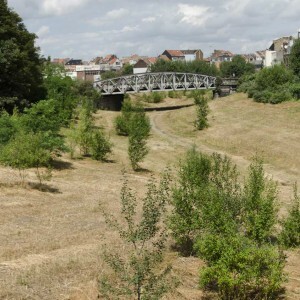 The project dealt with landscape as an infrastructure allowing to anticipate climate change impact. Specifically, we propose to thicken the existing dike into a super-dune that would reinvent the relationships between the city of Rotterdam and its river. That is how we were starting to work on shorelines, anticipation of water level rise, but also went to Australia to work with students as a mode of investigation of the evolution of the Australian coastlines. 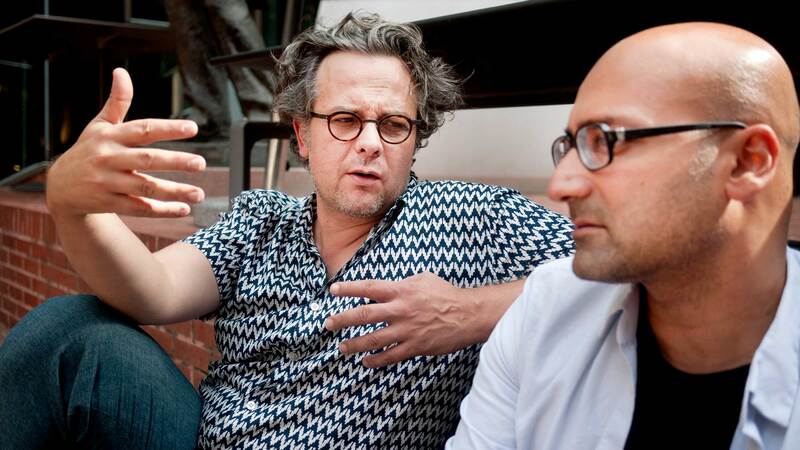 So at first we were very interested in the phenomenon of working on large scale and anticipating transformations. Penfornis: Building upon these first experiences, we were invited by the French Ministry of Housing and Ecology to perform a prospective study in Brittany and Normandy with local mayors. 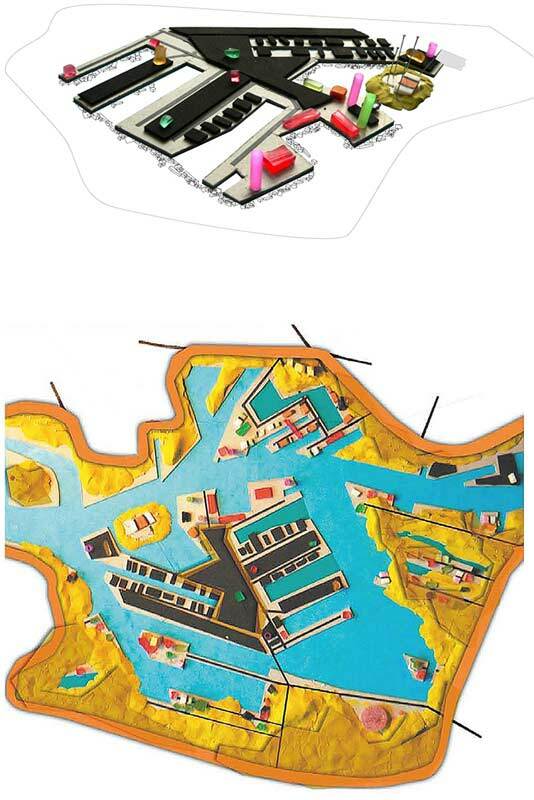 This pilot project sought alternative approaches to the development of the coastal fringes and explored visions for retro urban growth scenarios. Landscape was here considered a framework that gives structure to potentially uncontrolled growth in cities located in the coastal hinterland. With the project I believe we set conditions to create the dialogue between designers, mayors and also the state authorities. As a result, the process enabled to create action roadmap for some explorative territories. It meant that national laws could be, based on a validated territorial ambition, could be adapted. 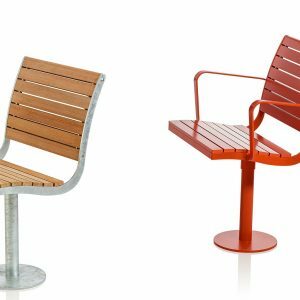 Design was not only used to mediate between top down and local public authorities but as well to reframe policies. We like to work constantly back and forth between reality check and prospective projects, to navigate between small operation and large-scale thinking. Kandjee: We simultaneously work on urban renovation projects, that are long and complex and often impacting fragile social conditions. 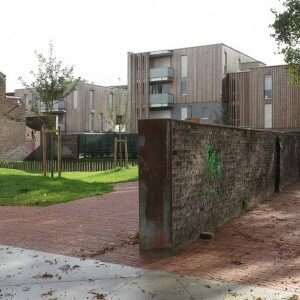 One such project was done in one of the largest social housing district in the north-east of Paris. We like to work constantly back and forth between reality check and prospective projects, to navigate between small operation and large-scale thinking. We are interested in exploring questions concerning new urban landscape typologies. 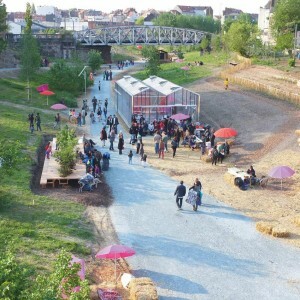 One such example of setting new agenda is a research action project initiated by the French Ministry of Culture aiming to look at the emerging »markers« of the Grand Paris. We were invited to participate and decided to look at Charles de Gaulle airport beyond the pure logic of infrastructure. We curated a project named turbulences that introduces the airport not solely as a machine but as a city. 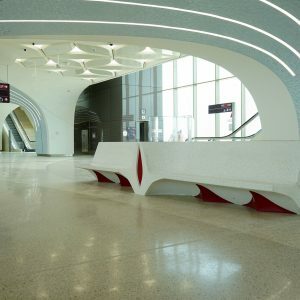 By inviting 4 artists to infiltrate the airport, the project was an opportunity to address very specific condition of fragmentation and space of control. Then we became very interested in working in landscape and looking at landscape through these border conditions; from shorelines to social borders, political borders, security borders. This is something that is constantly being present in our work and we are interested to question, but as well to act upon. Penfornis: The question of margins crosses our entire work regardless of typologies. We understand these margins typologies as the contexts where we practice and the landscape projects we design. The last understanding belongs by exploring the fringes of our practice with an innovating research model. A research process that we developed in two PHDs (Design Practice Research) during the last 5 years with RMIT Melbourne. 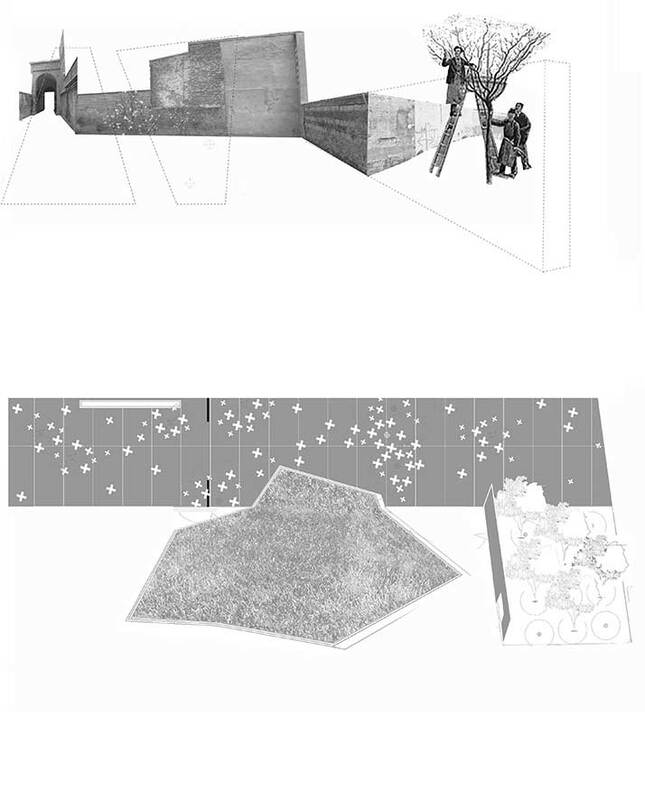 Kandjee: The question with Hortus Ludi was how to transform a derilict, left-over space that was introverted, enclosed and fragmented by a continuous wall, surrounded by narrow dense poor worker housing fabric. 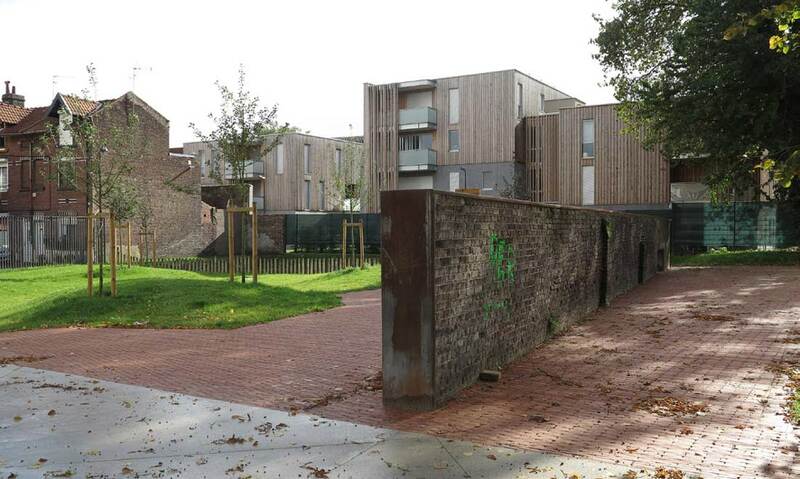 We engage ourselves with the municipality not only to create a little niche and precious garden, but also to create a void in a very dense neighbourhood that would reopen the space, litterally allowing to bring back the horizon into the site. The approach of reopening isn’t associated with erasure; in the opposite it became an opportunity to reveal existing borders, limits that became interface of the new garden. Landezine: How did people react to the new space? 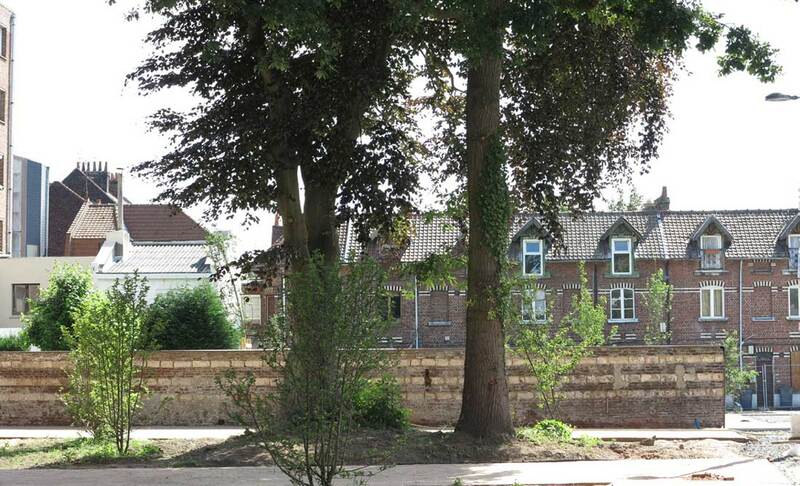 Kandjee: There was a lot of fear, since it is important to stress that the place was a left over located next to large social housing area, inhabited already by teenagers and also drug dealers. We didn’t want to erase this layer but instead propose a series of sub-spaces within the garden that can accommodate multiple user types. It was hard to negotiate with the municipality to keep the wall in the middle of the site, for many keeping the wall meant creating hidden spaces associated with insecurity. In the same respect we didn’t erase an existing ‘corner’ that later became the spot for youngsters to hang out. We are in fact interested in juxtapositions, frictions, and collisions of users. Kandjee: With the project ParckFarm, that taktyk initiated with the office Alive Architecture, we tried to accommodate and recognize frictions and differences. 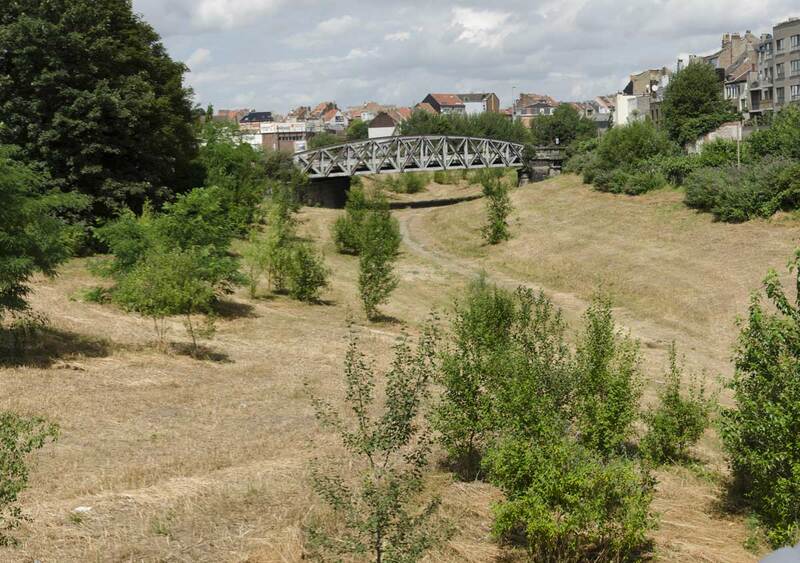 The site of the project is located between the fragile neighbourhood of Molenbeek and the large-scale private development of Tour and Taxis aiming to stimulate gentrification. 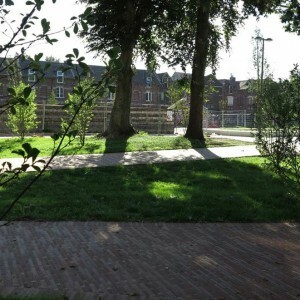 The proposition of the festival Parckdesign 2014, initiated by Brussels Environment, has been developed by Taktyk and Alive Architecture in association with Jacques Abelman, Eric Dil and Hidde van Schie, as a new model of public space in a fragile neighborhood of Brussels that combines the characteristics of a park and micro farming. Kandjee: In 2013, taktyk and Alive architecture were initiating the overall approach when we apply as curators of this biennial using one single moto, how can we use a design festival to impact socio spatial conditions beyond the ephemeral. 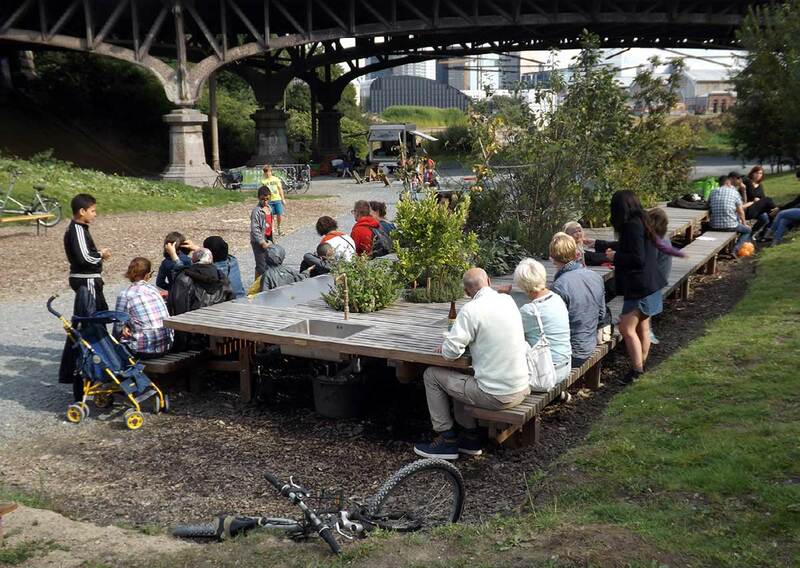 We see many places all around Europe which function as event-scapes that are spotting neglected areas but are less likely to reach in communities and make real social impact in reality. We used one of the project for PS1 MoMA in New York as a reference for our approach. 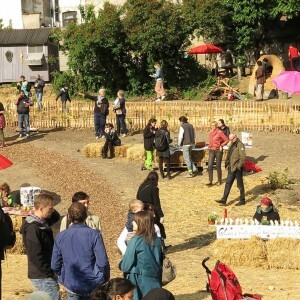 Instead of occupying a courtyard and destroying it afterwards one of the teams at one of the editions was actually first scanning Brooklyn and detecting what was in need in the neighbourhood in terms of social interface and this resulted in the design for PS1 which was after the event retro-fitted back into the neighbourhood. Kandjee:The questions with the Parckfarm were mostly dealing with bridging conceptual dichotomies. 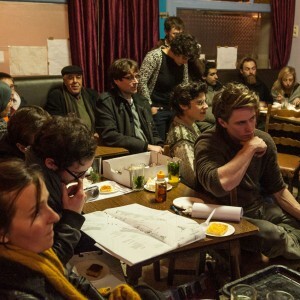 Alive Architecture questioned how can we make gentrification processes inclusive and stimulate local economies. 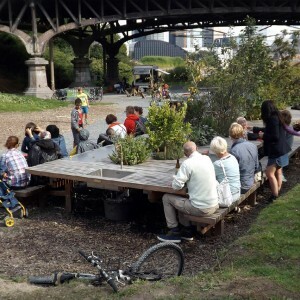 We looked at making a fragment of a new metropolitan park recognizing both the talents of top down expertises and everyday practices that were already embedded on site. As a result we, as curator, enabled an eclectic landscape to emerge, a landscape that collides amateur and designer aesthetics, that encounter large public recognition. 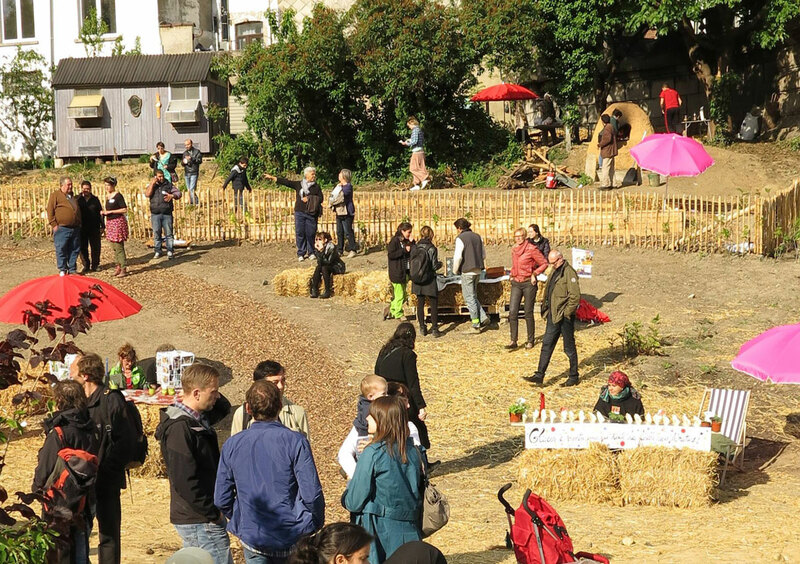 The project Parckfarm is an intention to say that in Brussels we can generate vibrant public space by building coalition of actors that usually contest or ignore each others. 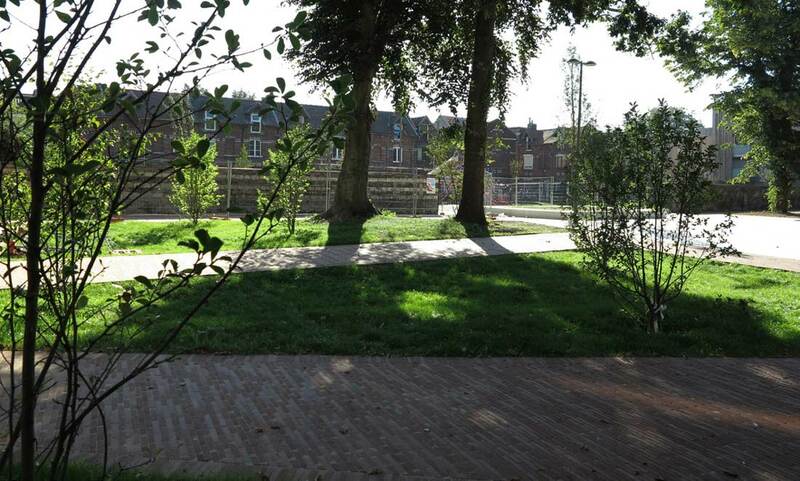 The park designed by Brussels environment, was as a given cohesive spatial framework in the start of the process. The curators adjusted its definition by using an eclectic approach, favoring multiplicity and openness, a diversity of design methods between improvisation and precise craft. The overall motto ‘from the landscape to the plate” was a mean to draw a red line between the different artistic installations. 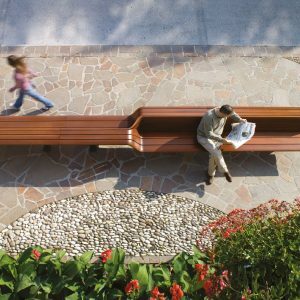 Furthermore it stimulated the interchange of expertise between the designer and the local. expanded team, a montage of different mindsets and design culture reflects equally eclecticsm as an alternative to the unique figure of the curator. 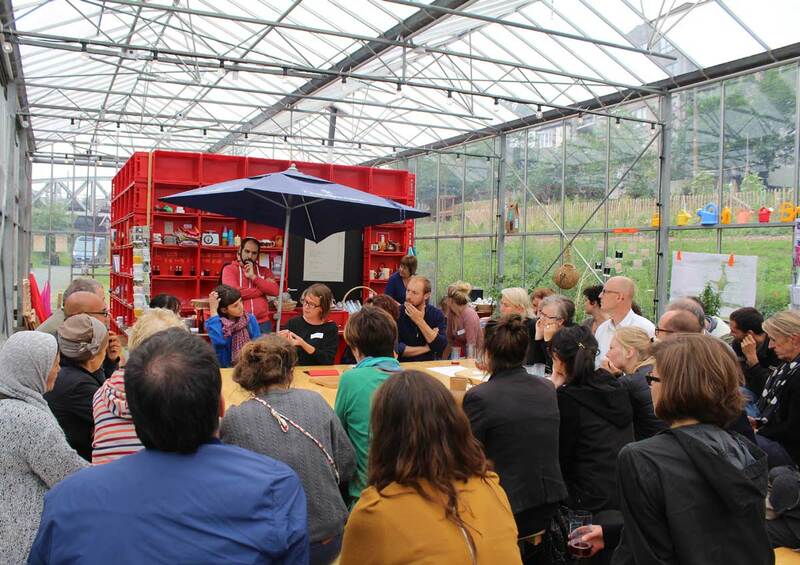 Each of the curators realized an infrastructure for the Parckfarm: the vegetable garden (Taktyk), the Farmtruck (Alive Architecture), the electric rainbow farmfair (Hidde van Schie) and the table paysage (Jacques Abelman ) and Eric Dil. 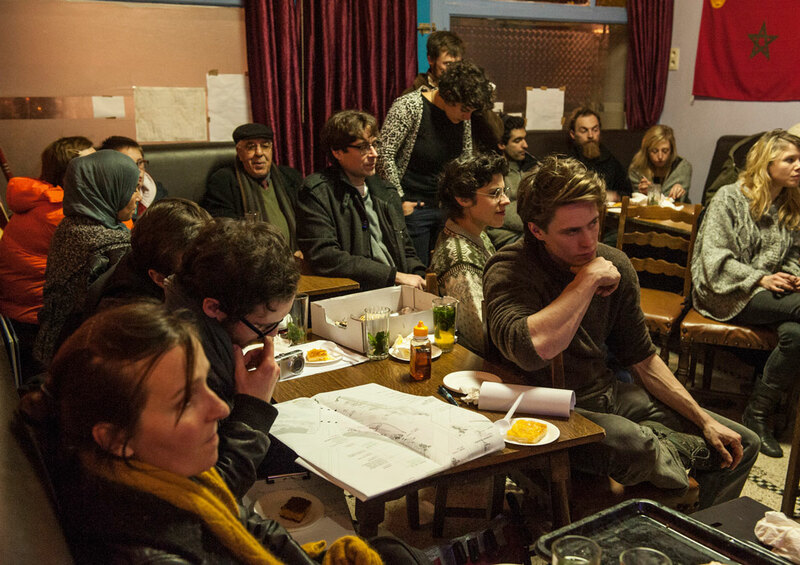 The team framed an open call for projects around five interrelated topics that would be relevant for the Parckfarm. (Horeca, animality, waste, food and bee-farming). Anything we invest in the festival has to have real impact and has to remain on site and must become a new infrastructure for a new park. 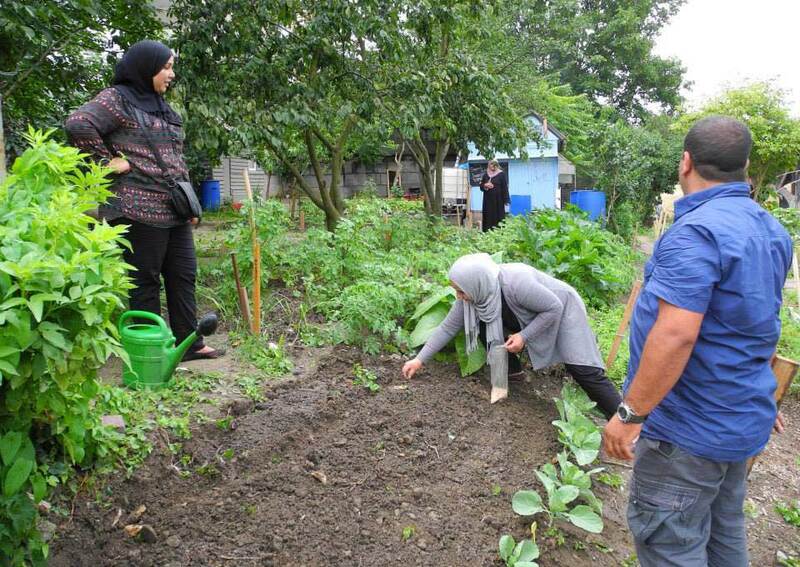 With the public call that we initiated, we wished to secure a certain level in the production, delivery and maintenance of the installations by asking each team to emphasize the collaboration of designers with local actors and with experts on urban farming. 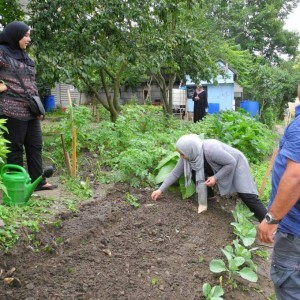 This tripod of experts – the designer, the local and the farmer – would contribute to bring on one side spatial improvement of the park, new knowledge on farming to the project, while the involvement of the local actor would insure that the proposition would be appropriated by the daily users. The curators assured that part of the public money went to the teams of the artistic installations to develop installation that could, in case of success, stay beyond the festival. Ultimately by experimenting we can keep reinventing our mode of practice. 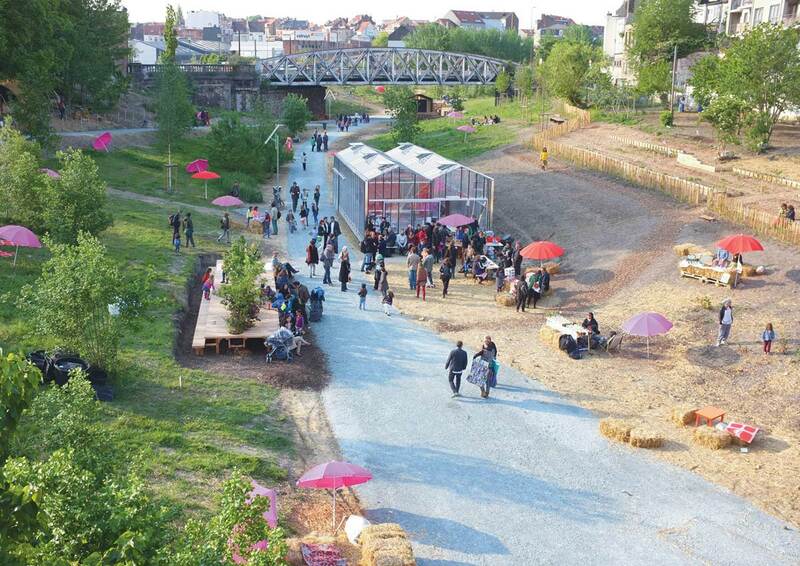 ParckFarm in Brussels became a new prototype of public space making. 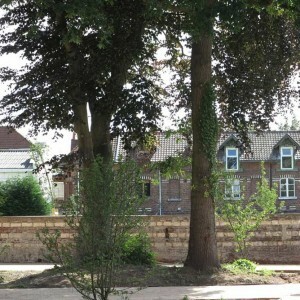 Brussels environment who is now monitoring the park with the local association Parckfarm is using our work as a reference to question the production of new parks. 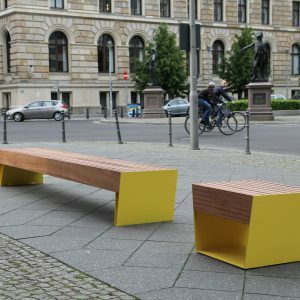 The resonance of this project went beyond the local scene since it was exhibited at the International Architecture Biennial in Rotterdam as one of the possible examples to intervene in cities today. 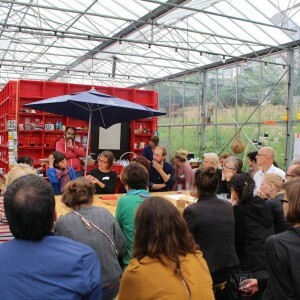 We consider projects-stories experiments that connect and enrich both our modes of practice. Sébastien explores design through the approach of “playful tactics” while I am still working as a gardener exploring different regime of care to monitor landscape transformations. Looking at climate change responsive infrastructure, pilot project for the coastal development of the French coast or public space production in fragile neighbourhoods we are both looking at the conditions being the “forces at play” and the “margins” that we can respond to, to create playful and robust landscapes. Ultimately by experimenting we can keep reinventing our mode of practice.